I have always wanted to try Goan food but for some or the other reason, I would not get a chance. After pushing my family for a bit, I finally got a chance to try Goan food at Goa Coastal Curries. Based in Karama, Goa Coastal curries is owned by Satrang Foods (who also own Pind Da Dhaba). 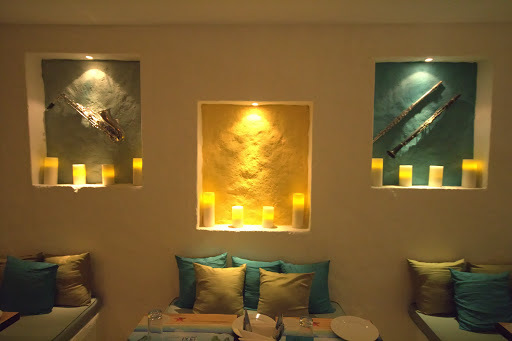 The ambience and feel of the restaurant is Goan right from the music, to the paintings of the Goa market place and the map of Goa itself. There is ample amount of comfortable seating options available and you shouldn’t have much difficulty in finding a place during weekends as well. As me and my family settled down on our table, the menus were passed to us and I was handed over the task of ordering food. 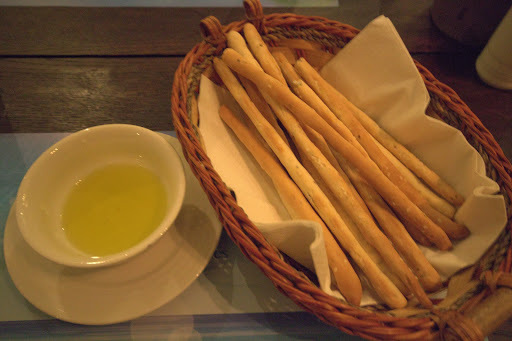 Before we placed our order for food, we were given a basket of bread sticks with olive oil to go along. The breadsticks had that bit of a crunch in them (which I love) and tasted good. If the restaurant can work out a possible dip for it like a fava dip, it will just take the breadsticks to a whole new level. As I was pretty hungry, I didn’t wait long and placed my order. First on was Salad Idalina. 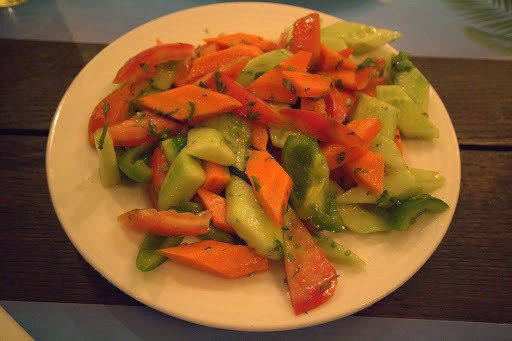 The salad consisted of some bell peppers, carrots, cucumbers and tomatoes. The salad was not only fresh but is healthy too. The dressing is nothing fancy, just plain olive oil and lemon juice. As they say, sometimes simple is good, the same is the case with this salad. It may look simple but it definitely serves its purpose. To ensure that waiting time could be kept down to the minimum, we had ordered main course at the time we ordered the salad. I simply love prawns and am a great admirer of good prawn dishes. In addition to this, I have heard that Goan sea food is better than Goan chicken dishes. This was the reason that I ordered the Prawns Goan Pulao instead of the Chicken version. It was definitely a good choice. The rice was cooked to perfection and the prawns tasted delicious. 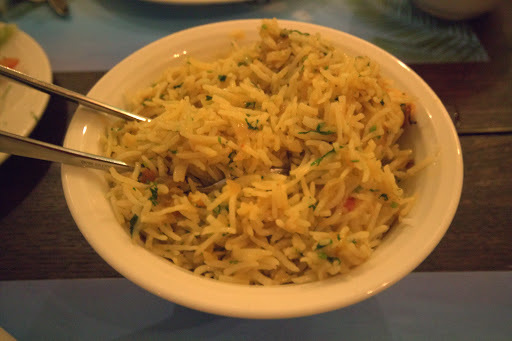 The mix of both resulted in a tasty Goan pulao. Goa coastal curries offers you the choice of traditional Goan Curry in 4 different flavours namely Pomfret, Surmai, Rawas and Prawns. Having already ordered a Prawn pulao, I avoided the Prawn Goan Curry. After a bit of confusion between Pomfret and Surmai, I decided to ask for recommendation from our server Tanveer. 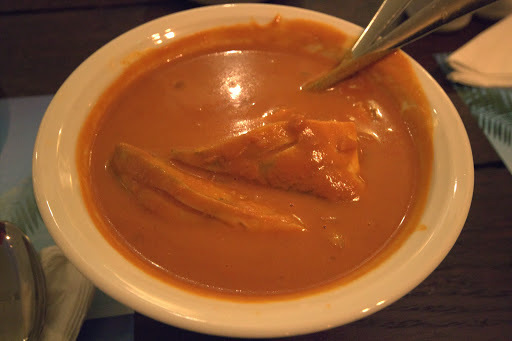 Tanveer recommended the Pomfret Goan Curry and I had no second thoughts. I would personally like to thank Tanveer, who recommended the best dish of the evening. The traditional curry had all the flavours one would be looking for in a dish. The curry had the right amount of salt and spice. The Pomfret was perfectly cooked. The curry was brilliant and has become one of the best dishes I have ever had. Chicken Xacutti was the second main course dish we ordered and the only Chicken dish. I am so glad that I did order Chicken Xacutti. This dish just like the Goan Curry had amazing balance of flavours and it was enough to tingle my taste buds. We also ordered a steamed rice to go along with our main course. The steamed rice went well with the Pomfrey Goan Curry and the Chicken Xacutti. All main course dishes were a hit. Since I had heard a lot about Kokum Sherbet, there was no way that I would give it a skip. Kokum Sherbet is the best drink to have in summers. 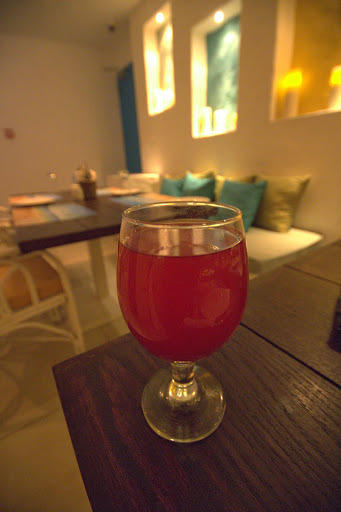 Not only does it act as a coolant, it is also good for health and is rich in Vitamin C. The Kokum Sherbet served to us was totally amazing and refreshing. My mom being a fan of Coconut water went for the Tender Coconut Water. The Coconut water was pretty good. After having the main courses, we were pretty full but I decided to give a shot to the Coconut Ice cream. The Coconut Ice cream was the icing on the cake. 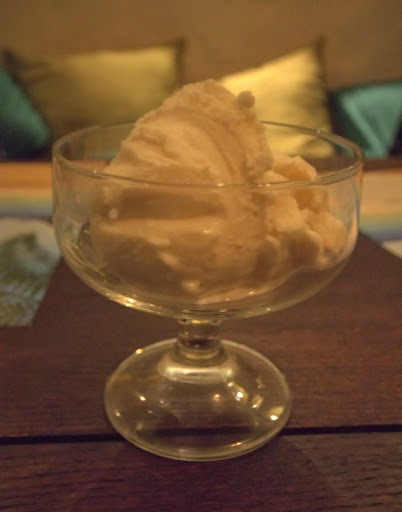 After having a main course rich in Goan flavours, the ice cream served to be the perfect ending. The ice cream was rich in taste and the way coconut was used in it was commendable. 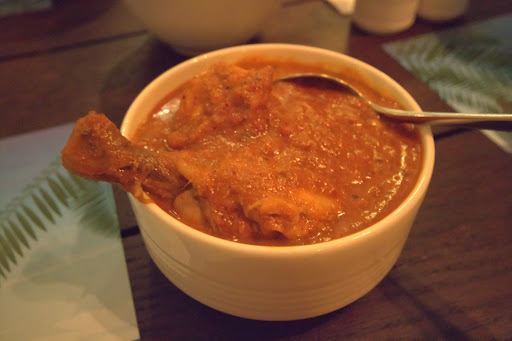 My overall experience at Goa Coastal Curries was a very good one. I loved the authenticity of the flavours used and every dish was just amazing. The ambience, the feel and the service was all good. 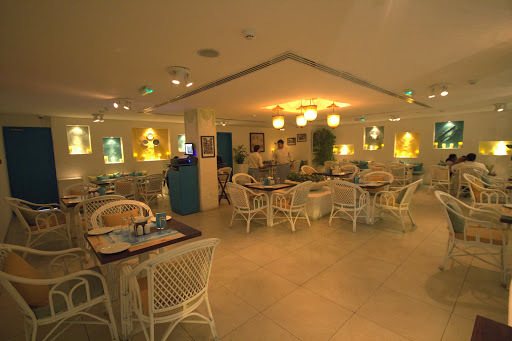 If you have not been to Goa, this is the closest you can get to Goan food in Dubai.